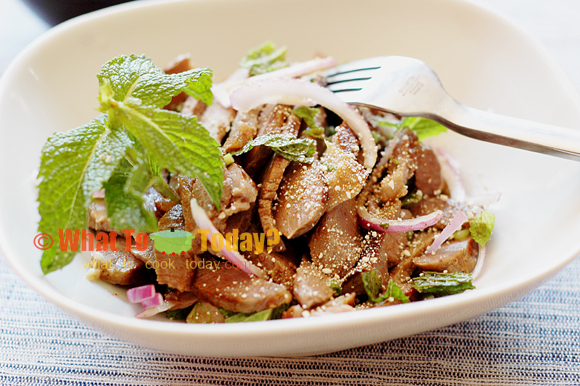 This grilled beef salad from Isan is highly delicious. Isan is a Northeastern region in Thailand, which the word Isan itself means Northeast. From what I read, the area is mainly populated by people from Laos. The dish Naam tok literally means waterfall. You are wondering why waterfall. The meat juice that forms on top of the meat as it grills is what they are referring to as waterfall. 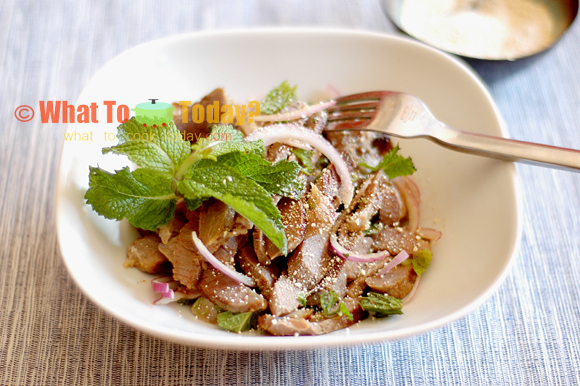 Namm tok nuea is very simple to make without much fuss. Really. Straightforward grilling and dress with the sauce. 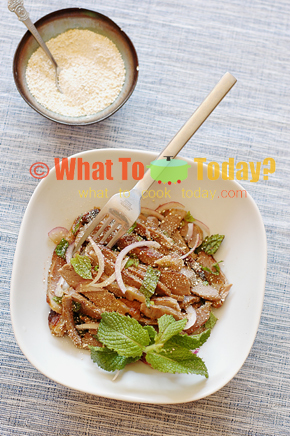 The dish is also topped with a toasted sticky rice powder. This combined with the grilled beef simply makes it irresistible.